Be simply the best with this Steel Workstation! The simple design and slim profile of this workstation means it’s a perfect fit for every workspace, no matter the existing decor. It’s steel, u-shaped legs create smooth lines that will make you do a u-turn for another look! To expand on its intrigue, the workstation also features a wood laminate top. 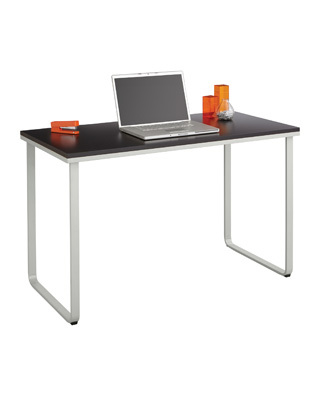 The Steel Workstation is the perfect touch to help your work area have a little style without sacrificing function.